Action Figure Insider • View topic - Need help with my list- "LOST Toys of Mattel"
Post subject: Re: Need help with my list- "LOST Toys of Mattel"
That one was never tooled." It was sculpted but molds were never made, Mattel has told us that before when asked if it would ever see release. Daniel, this brings up an issue... We can list all of these sculpts that have been shown (or evidence exists of production work of sometype) but we aren't necessarily going to know if tooling has been made if that's what you're actually asking for. Other items to consider, the brown Man-Bat Peter posted would just be a repaint of the one that was released. The light blue DCSH Bizarro would be nothing more than a repaint as well even if the only one that actually "exists" is the one photographed for the packaging (and that even depends on if it was a digital alteration or a physical painted sample). Missed it if anyone else mentioned it, but there are those 4 GL:TAS test shots out there: Hal Jordan, Kilowog, Zilius Zox and Atrocitus. Does the DCUC Golden Age Hawkgirl from the Hawks 2-pack count? Scott mentioned this pack even though we never actually saw pictures. GA Hawkman came out as part of Wave 19 so it seems likely that this pack was already tooled despite getting dropped by retailers. Nope. That one doesn't count as it was never designed. It was only ever a name on a list and no production was ever put towards that set. The Pre-DC Classics (Batman/Superman/Whatever-the-line-was-called) 6"-scale Firefly. I have a photo somewhere if you need it. And the 10-inch Bane from The Batman. D'oh! How could I forget? 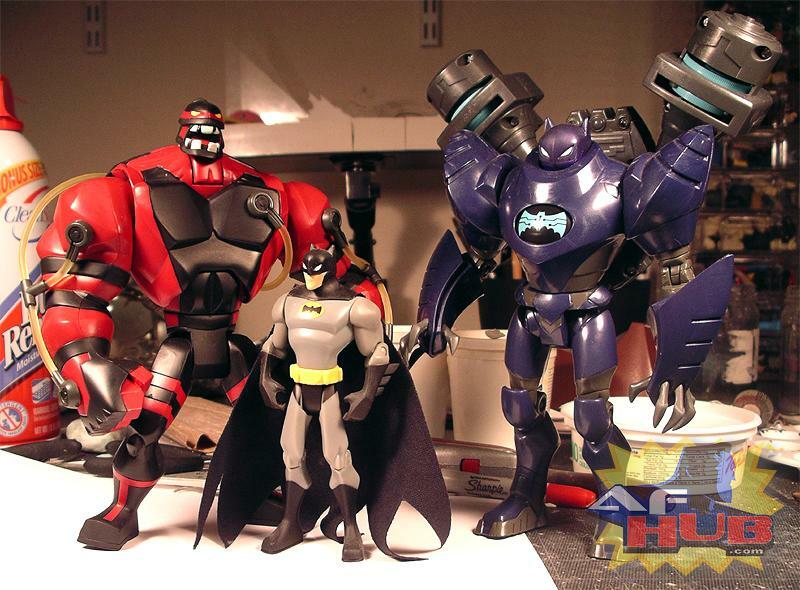 Over on the Fwoosh, someone mentioned that Modern Hourman and Dr. Mid-Nite had been tooled but dropped and never shown. Don't know how accurate that is, though. I believe there was a third character mentioned, but I'll be darned if I can find the post.